Nobody wants to pay for cable. With all the streaming options available online, why would anyone want to? 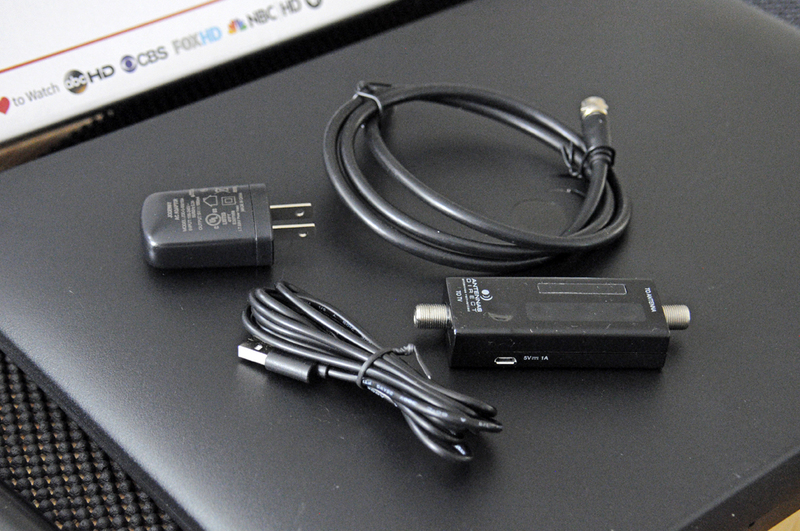 We have been a fan of Antennas Direct‘s HDTV products since we “cut the cord” a decade ago. 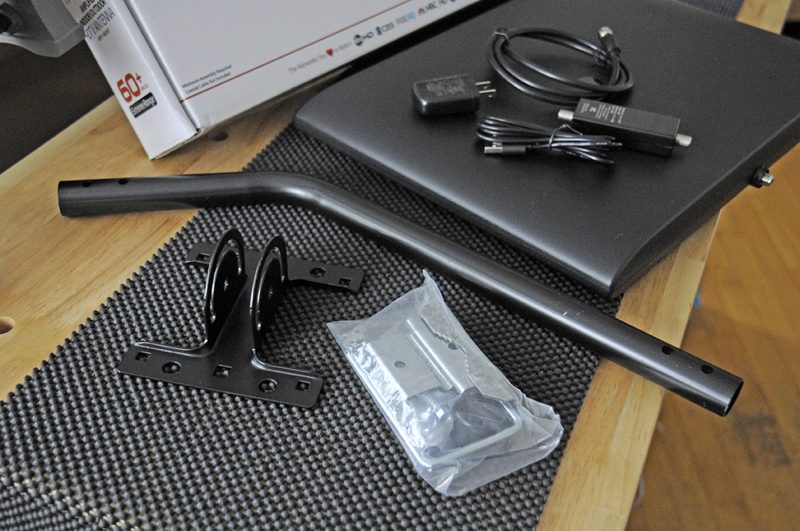 Today we are going to take a FirstLook at a game-changer in indoor/outdoor HDTV antennas from them. 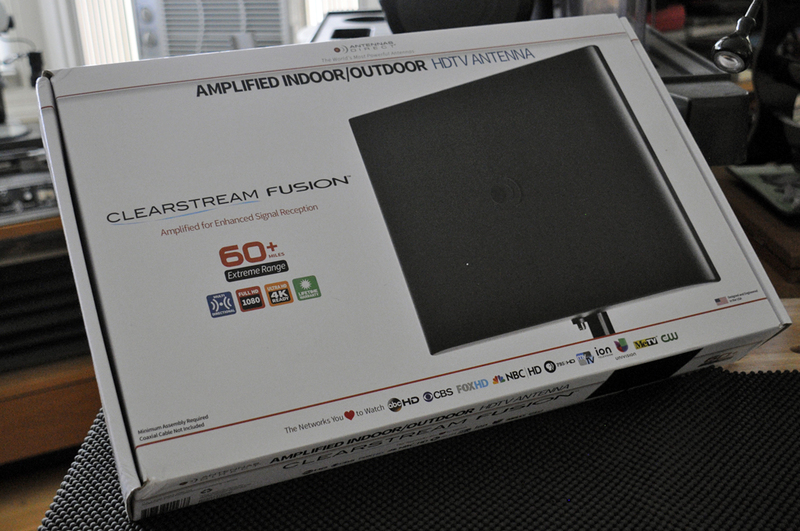 Antennas Direct has continued to innovate, and the ClearStream FUSION™ is the latest in their HDTV line. The FUSION™ combines UHF and Hi-VHF signal reception with multi-directional elements for a greater range of frequencies. Its compact design is perfect for use indoors or outdoors, and is rated to pick up signals from as far as 60 miles away! 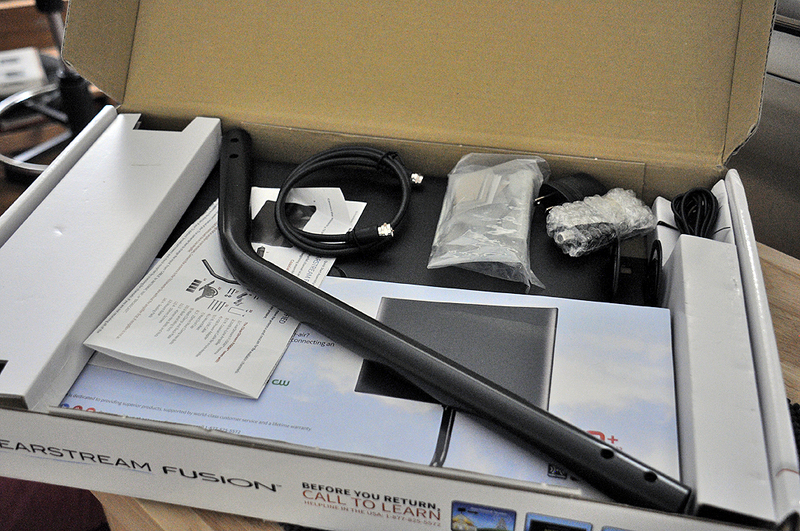 The ClearStream FUSION looks nothing like the typical external TV antenna. It is flat and ready to go out of the box, no assembly required. OK, a little assembly required, but that applies only to the mounting base. 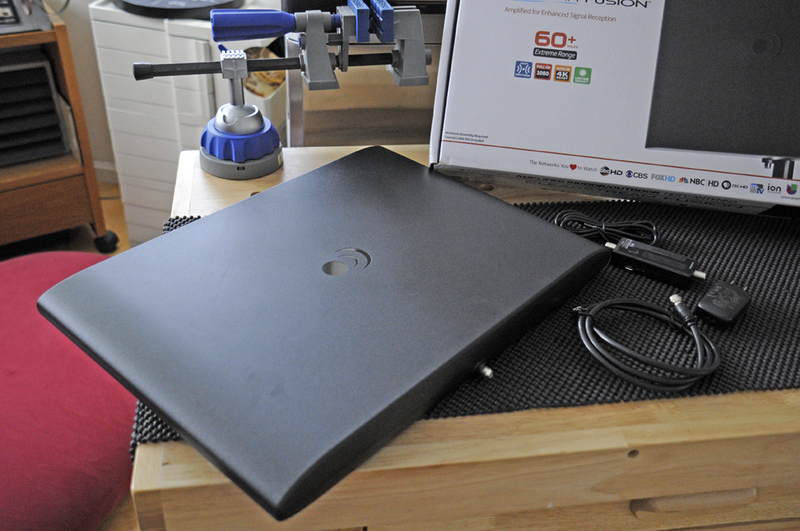 While the antenna itself is weather sealed so it can be mounted outside, it is definitely good-looking enough to be part of the AV gear inside. Putting the antenna outside can mean getting more channels or servicing more than one TV. For outside rigging, the FUSION comes with a 20″ powder-coated corrosion-resistant mast, pivoting base, and all of the bits and pieces for attaching the antenna onto the roof or rafter in the attic. To ensure that the signal pulled in by the FUSION gets cleanly to the TV, a 20dB USB in-line amplifier is part of the signal path. All of this adds up to the ability to pick up stations which may be transmitting from as far as 60+ miles away! We are on to Super Bowl 50!